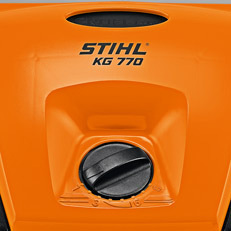 The KGA 770 is the top of the line in the new manual sweeper range from STIHL. 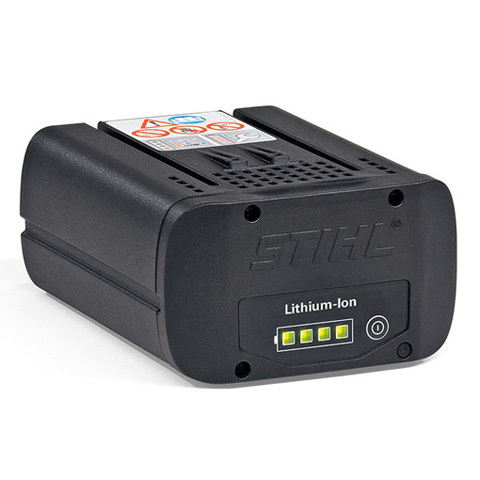 The high performance of the STIHL AP 160 lithium-ion battery, in conjunction with the STIHL MultiClean PLUS sweeping system, allows for up to 2000 m² of neatly swept surfaces wet or dry. The variable height can be easily adjusted in a matter of seconds. The large opening allows objects as big a a soft drink can to be quickly swept away. 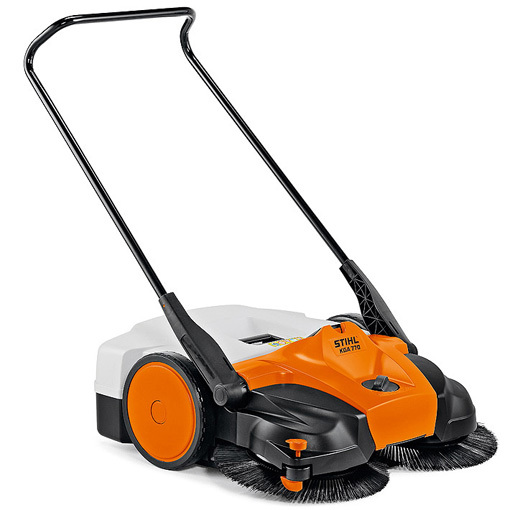 Weighing in at just 16kg, the sweeper can be easily transported with minimal effort. 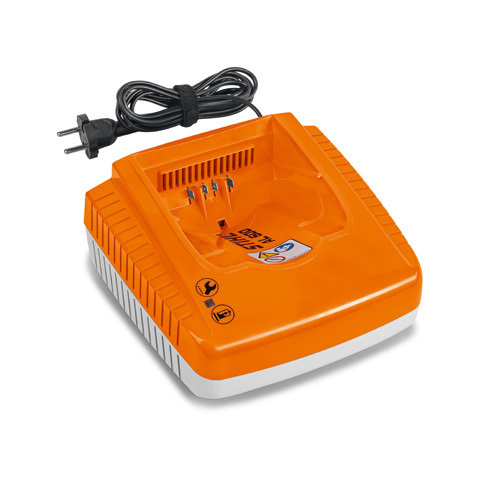 The sweeper can be used manually when recharging. The MultiClean PLUS system ensures the sweeping machine can handle all kinds of dirt, cans, plastic bottles. Heavy and wet debris are also no problem. The system also takes care of very fine dust. Debris is brushed up in front of the machine before gets caught under the tool. The long-lasting bristles are made of durable nylon. 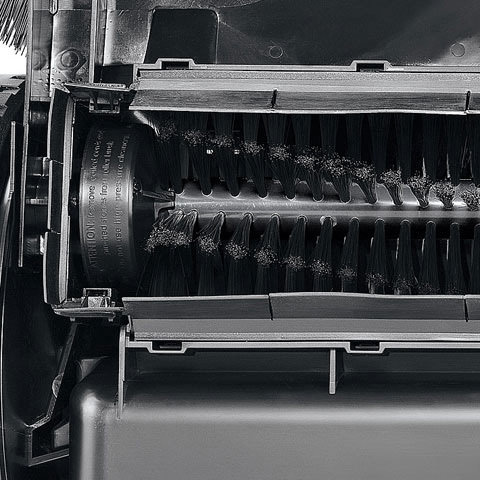 With central height adjustment, you can easily adjust the height of the bristles, ensuring an optimal sweeping result for all kinds of different surfaces. The impressively spacious container holds a large amount of debris, but takes up very little space. The tool can be stored upright on the container to save space, without spilling any dirt. 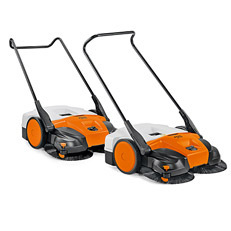 The sweeper is effortless to push and can easily be adapted to users of different heights. The handle can also be removed for easy transport. 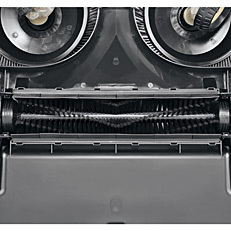 Direct transmission improves efficiency compared with belt-drive machines, making the machine lighter to push. 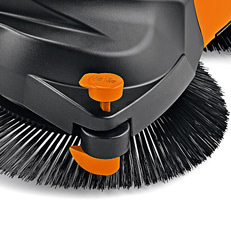 The circular brushes also turn inward when reversing which prevents dust from being expelled. 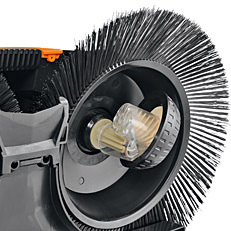 The roller brush allows any fine dust not collected by the bristles to be swept into the waste container. The spacer rollers at the sides guide the machine when sweeping along objects such as walls or kerbs. These also serve to protect both the sweeper and the wall from damage.